Author’s Note: This is the first in a four-part series chronicling the history of women in Kappa Kappa Psi. Special thanks to Steve Nelson, Ken Corbett, Deb Eakins, Marie Burleigh, Rick Albani, Beth Smith, Ralph Cicchelli, Jaki Fesq, Mu Upsilon Alpha, and the National Headquarters staff for their help on this project. Council, fighting the Axis Powers of Germany, Italy and Japan, the Twelfth and Thirteenth Biennial Conventions, scheduled for 1943 and 1945, were never held. Kappa Kappa Psi was kept alive by the efforts of A. Frank Martin, William Scroggs, and the five remaining active chapters (Alpha, Oklahoma State University; Alpha Beta, Butler University; Alpha Iota, University of Colorado; Alpha Omicron, Texas Tech University; and Alpha Pi, University of Tulsa). World War II also allowed many women to participate in band programs for the first time. At Texas Tech University, a local women’s organization called Tau Beta Sigma was formed in 1939, and in 1944 they petitioned the National Chapter of Kappa Kappa Psi to be allowed as an auxiliary chapter of the Fraternity. Under this proposal, Kappa Kappa Psi and Tau Beta Sigma would have been one corporation, rather than two. Although there probably would have been two National Councils, there would have been only one Board of Trustees having ultimate authority over both groups. Knowing that the very nature of college and university bands was changing, many of the Fraternity’s prominent members such as Martin and Max Mitchell hoped that the petition for membership would be granted. Due to the condition of the Fraternity during the war, however, this was not to be. Mitchell recommended that Martin, as National Executive Secretary, try to help guide Tau Beta Sigma during the war in order to gain a greater chance of adding these women to the roster of Kappa Kappa Psi. Martin was very positive about the idea of adding the Tech organization to the Fraternity. Having a daughter of his own, he felt that women should have every opportunity as men to develop leadership and advance in music and that Kappa Kappa Psi should allow them that opportunity. The members of Tau Beta Sigma ultimately decided not to be an auxiliary unit of Kappa Kappa Psi, but rather a sister organization to the Fraternity. On March 26, 1946, Tau Beta Sigma was officially chartered as a national organization. The issue of women joining the Fraternity would not become a major national issue again until 1972. Title IX of the Education Act of 1972 requires that all persons be allowed to participate in any educational program, including those activities that receive direct federal aid, regardless of gender. These programs or activities include any student organizations that operate under the authority or recognition of a college or university that receives government funding. Such organizations provide educational and professional opportunities, and therefore fall under the Title IX influence. There are some exceptions to the rule: social fraternities and sororities, voluntary youth service organizations, boy or girl conferences, etc. The clause has primarily affected athletics but it has also made its impact on honorary organizations, such as Kappa Kappa Psi. Kappa Kappa Psi was given its first test of Title IX in what is now known as the “Rutgers Incident.” Rutgers University, the State University of New Jersey, was home to the Alpha Phi chapter. Rutgers began experiencing problems with the national office in 1971 when the National Chapter voted to raise dues in order to help cover the cost of maintenance for the fraternity. Alpha Phi did not notice this increase, and, after failing to cover the shortage of $39.06 by February 1, 1972, they were placed on suspension. The chapter was not happy with this situation and was becoming disenchanted with the national organization. After the delinquent dues were paid, Rutgers was removed from suspension, and everything seemed to be going well until the Rutgers University Board of Governors decided that they wanted their school to serve as a leader and model for the rest of the nation in implementing Title IX. In the spring of 1972, they issued a mandate that all organizations on the Rutgers campus become coed within the year or face disciplinary actions. For the first time in its history, the Rutgers University Marching Band became coed. Ralph Cicchelli, the Alpha Phi president, regarded the coed issue as very minor in light of the ongoing war in Vietnam. He had been in the eleventh group of men that were drafted, but was granted exemption based on his status as a full-time college student. He was a senior during the 1972-1973 school year and his exemption from military duty was almost at an end. Thinking of the physical demands placed on the students during band camp by the director of bands, Cicchelli had only expected to see one or two women, whom he felt would surely be scared off, enrolled in the band. When the marching season began, however, he was shocked to learn that there were ten women enrolled and, as it turned out, as the flute and clarinet section rank leader he had the majority of them in his squad. After surviving band camp, the brothers of Alpha Phi gained a new respect for the women that had joined the Rutgers band. Knowing that their own numbers were dwindling, they began to contemplate giving bids to the women that they felt were worthy of membership. Realizing that the National Constitution prohibited the admittance of women in the organization, Alpha Phi initially explored the option of beginning a Tau Beta Sigma chapter. However, because Douglass College, the undergraduate college for women at Rutgers, prohibited the formation of or participation in any kind of sorority; the creation of a Tau Beta Sigma chapter was not considered an option as no women from Douglass would be allowed to join. Rutgers Band Director Scott Whitener’s motto that year was “a bandmember is a bandmember,” meaning that the women would be treated no differently from the men and that the women would be held to the same expectations as the men. “I believe this is the phrase that not only solidified the marching band, but it became the anthem, so to speak, for all future action,” said Jaki Fesq, a junior who was one of the first women to enter the Rutgers marching band. Based on these factors, the Alpha Phi chapter voted to admit women on October 8, 1972. Knowing their actions would have consequences, the brothers of Alpha Phi informed National Headquarters of their intentions and invited National Secretary Rubin to Rutgers to discuss the matter and also to hear their reasons for Alpha Phi’s remaining a part of the national organization. Alpha Phi Vice President and District IX Member-at-Large Bill Ferenkes sent letters to other members of the District IX Council asking for support of their decision, in hopes that Rutgers’ decision would front a movement at the 1973 National Convention at the University of Connecticut to merge Kappa Kappa Psi and Tau Beta Sigma into one single coed fraternity. Rubin requested that the Rutgers chapter not administer any part of the Ritual before he could visit. He was also hoping that they would hold off on initiation until after the 1973 National Convention at the University of Connecticut. This would give the National Council an opportunity to establish a policy statement concerning Title IX and would allow the National Chapter the chance to amend the Constitution. Not knowing how to respond to their suspension, the members of Alpha Phi unanimously voted to continue the probationary membership for their candidates despite Rubin. On November 13, the former members of the suspended Alpha Phi chapter officially chartered Mu Upsilon Alpha, the Honorary, Coeducational Service Fraternity of the Rutgers University Bands. During the next year, the new brothers of Mu Upsilon Alpha sent letters to all the chapters of Kappa Kappa Psi explaining why they chose to leave the fraternity. The responses that they received ranged from hate mail to support for their ideas. However, the one thing that Rutgers was criticized for time and time again was their action in violation of the National Constitution. Chapters that were willing to support the idea of allowing women in the Fraternity felt that the Alpha Phi chapter should have waited until the 1973 National convention to address the issue so that the constitution could be amended to allow for it. The National Council offered Alpha Phi the opportunity to appeal their suspension to the National Student Advisory Committee at the 1973 National Convention, but Mu Upsilon Alpha declined, stating, “In practical terms, a local brotherhood of 45 can serve the Rutgers Bands in a far greater capacity than a nationally affiliated brotherhood of 18. Numerous attempts have been made to bring the Alpha Phi chapter back into the Brotherhood, but they have all met with failure. Today, Mu Upsilon Alpha averages forty to sixty active members per year and will celebrate its thirtieth anniversary in 2002. 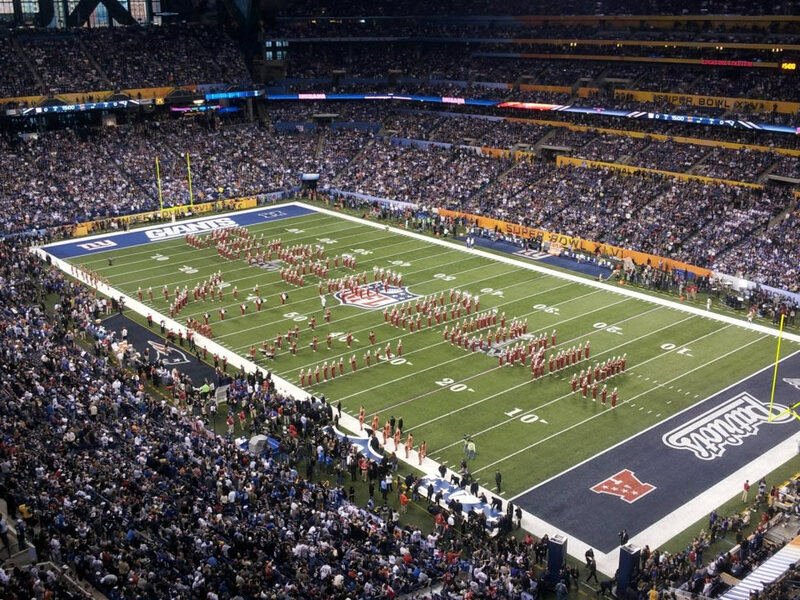 They are a very active coed organization serving the Rutgers University band program and are also responsible for running the New Jersey All-State Band each year. It is important to note that the Rutgers Incident took place during the end of the Vietnam War, although very few people knew that it was about to end. Many people, such as Ralph Cicchelli, were torn between their loyalties to serve their country and their moral objections of being in the war. The idea of fighting against the National Constitution was a direct result of those torn loyalties and objections. For those men in Alpha Phi, the time for change was today, as tomorrow threatened to take them into a war that would very likely take their lives. This series deals with the history of women in Kappa Kappa Psi. The next installment will be in the Fall 2001 issue of The PODIUM. It will document the 1973 National Convention, the National Response to Title IX, and the Iron Arrow Honor Society cases that reinforced the jurisdiction of Title IX over honorary organizations.